Welcome to the next installment of craft cider roundups from Meredith of Along Came a Cider. For more, check out her other articles for Cider Culture about ciders pushing the envelope, still ciders, autumnal ciders, perries, different apples and cozy winter ciders. Some folks do a “Dry January,” meaning they commit to a month of no alcohol in January. After all the socialization and indulgence of winter holidays, it makes some sense to think about balancing the scales with a little restraint. That doesn’t have to mean total abstinence, though. Cider is already a great choice for a lower alcohol-by-volume (ABV) drink. Ciders consistently clock in with lower ABVs when compared with wines and spirits, and are comparable with “session”-style craft beers! I dug up a few notable lower-ABV ciders, perries and related beverages. For some folks, this might be an introduction to ciderkin or the cider spritz! All of these can be super sessionable, great with a variety of activities where you want easy-sipping over the course of a few hours, like bowling, casual hiking, brunching, a movie marathon — you know, chill, laid-back stuff. Whatever your reason for wanting a lower alcohol choice, hopefully you’ll find something new from this roundup to try. I’d like to give a shout-out to my online cider friends who helped me with my research on this article; I see you! Thank you! If you’re wondering why there aren’t more low ABV ciders, the science of fermentation gives an easy answer. Ciders and perries come from juice which has a certain amount of naturally occurring sugar. That sugar is what converts to alcohol during fermentation. This is a challenge for cider makers who want to have control over the final ABV of their product. Thankfully, there are a few different solutions: blending ingredients with different levels of sugar, keeving to deprive yeast of nutrients, or arresting fermentation before all of the sugar can be converted. Any of these will work to give a finished beverage stability at a lower ABV level. Let’s start with four very different ciders, all of which come in at under 5% ABV. These ciders start with a base of apple juice, and use different methods to keep the finished ciders below that 5% mark. The Stem Ciders Hibiscus Session cider ramps up its tart tropical flavors with hibiscus tea (it’s the ingredient which lends that tart note in Zinger teas). The tea comes from steeping whole flowers and adds seriously intense puckering mouthfeel. All of Ulee’s ciders stay under 5% ABV, but I want to highlight the Dry. It can be tricky for cider makers to produce a stable, low-alcohol cider, and even harder to get a dry one. These light ciders, which are also vegan, focus on staying low-calorie for health-conscious drinkers. 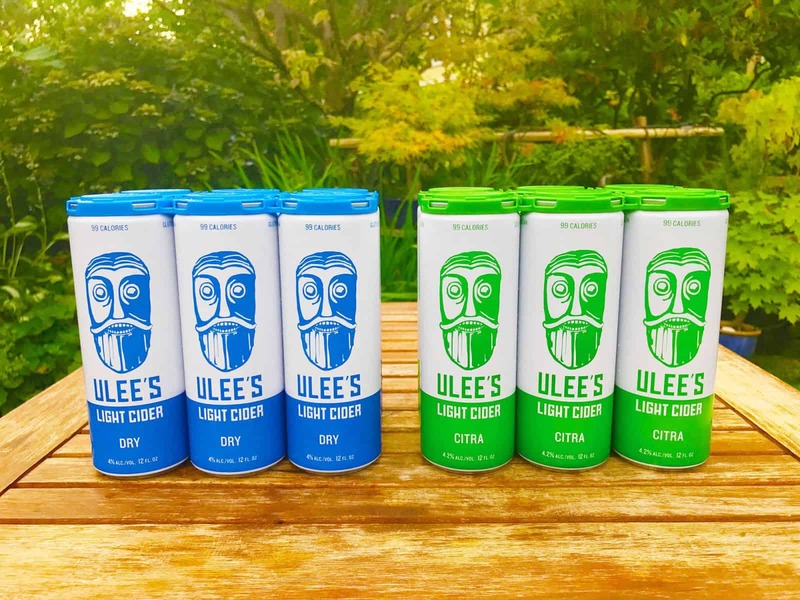 Ulee’s ciders use Washington apples and use Cascadia water, as well. The world of French cider offers more lower ABV options than any other. This comes from the traditional fermentation technique called keeving. This method allows the juice to ferment partially and leave lots of fresh fruit flavor, unfermented sugars and lots of body. The Cidre Tendre from Eric Bordelet is a sweet keeved cider with a notably low ABV, and it’s truly something special. It may be winter but we've got blue skies, a cold cider and high hopes for the weekend ? Another frequent source of lower ABV ciders is the UK. Dan Kelly’s Original cider features many of my favorite UK cider characteristics: Instead of being acid based, this cider balances tannins and sweetness with a relatively low level of sparkle. The apples used for this cider are very different than the typical American apple blend; there are lots of high tannin cider-specific varieties in there. This French perry (or Poiré) is light and sweet, but not simple. The Poiré from Ciderie Daufresne has a wonderfully cooked fruit and barn-y aroma, so fans of funk can really find something to love here. At the same time, this perry’s flavors are still very fruit-centric, redolent with pears and apples and spiced up with some dark honey. Different batches of E.Z. 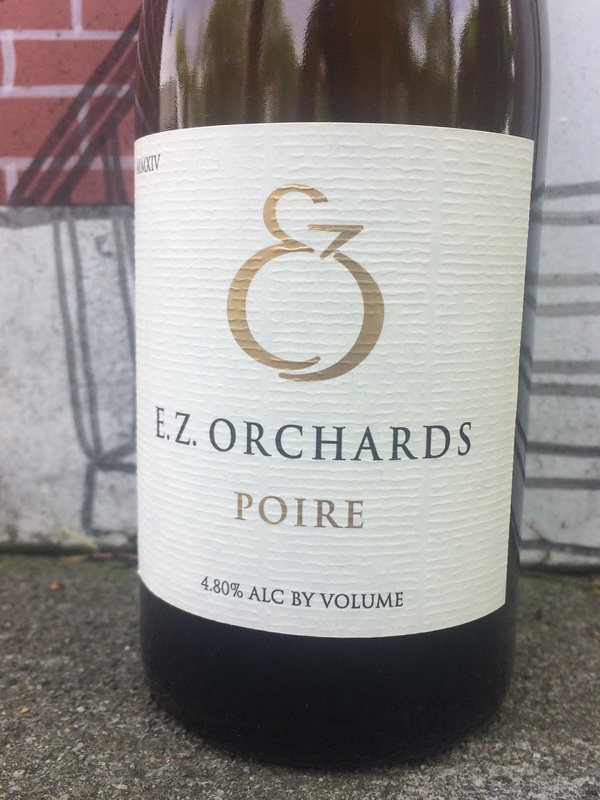 Orchard’s Poire come out with very different ABVs. Pears naturally contain some unfermentable sugars, so the one I reviewed had 4.8% ABV, while an earlier bottling came out at 5.9% ABV. What doesn’t change is the immediacy of pear flavor and enticing wafts of ephemeral aroma. The Shelton Brothers import this fine bottle-conditioned French perry from Ciderie L’Hermitiere. This is another classic example of fruity, yet farm-forward, perry. It’s light, bubbly and citrusy, but pear notes still dominate the experience. This is wholly pear juice and nothing additional, making it something indeed very special from Normandy. This is the most broad and diverse category, because it’s more of a gathering place for new and traditional apple-based beverages that often use other ingredients that will allow for a lower ABV beverage. Ciderkin is the most historic of the lot. A ciderkin is the drink made from rehydrating apple pomace and squeezing it a second time, giving a much milder base for fermentation. Spritz or Spritzers combine juice with water, other fruit juices and botanicals to make a light and sparkling low-ABV beverage. Ciderkin is OOO. Thanks @melgeee for the ?! The Argus Fermentables Ciderkin is a dry cider-relative from Austin, Texas. It packs a tart punch, and clean finish, which is a nice perk from this minimal-intervention beverage with no backsweetening, pasteurization, or filtration. 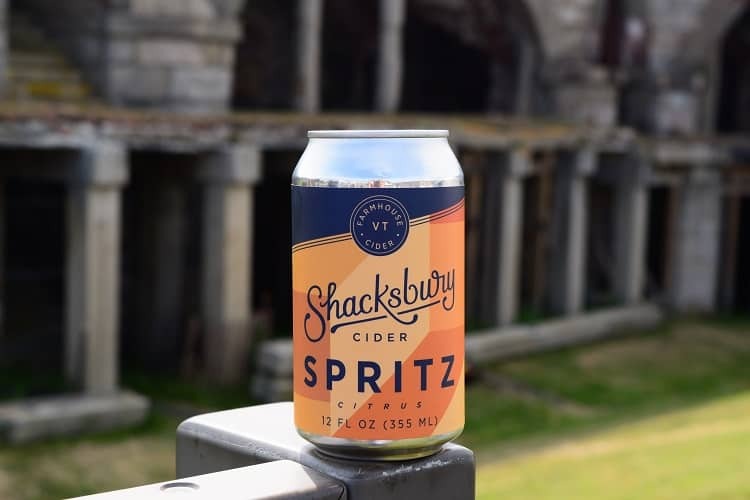 Shacksbury’s Citrus Spritz brings a gentle amount of alcohol and its sister-beverage, the Ginger Spritz, is similarly crafted at 3.9% ABV. I’ve had both of these offerings, and I find them totally enjoyable, but you won’t confuse them for ciders. They both taste lighter and more herbal and citrusy. These might not be for the cider purist, but they are very refreshing. Virtue Cider, out of Michigan, recently released the company’s first Spritz, which takes inspiration from Italian sodas and spritz cocktails. The flavors include apple, but the Mezzo Spritz relies on blood orange for its acidity. It’s drier than I expected: fun, yet sophisticated, and the bubbles bring the party! 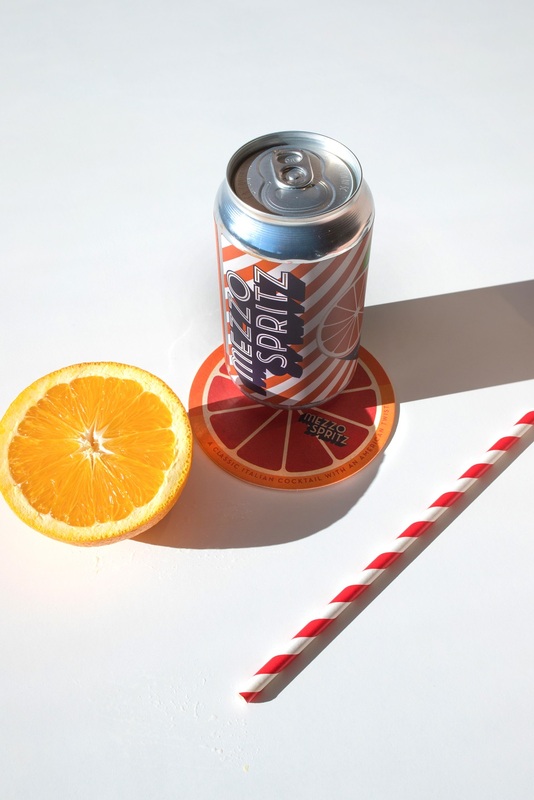 You can serve the Mezzo Spritz straight from the can or class it up with a wedge or twist of fresh citrus. 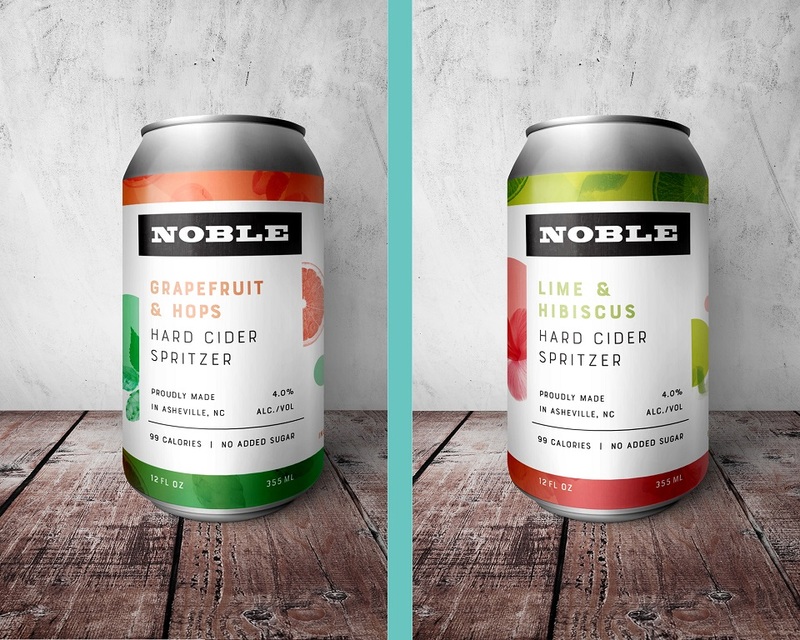 Asheville, North Carolina brings us Noble Cider. This small craft cider company has released two canned cider Spritzers: one is flavored with grapefruit and hops, the other with lime and hibiscus. These have a nice amount of body to them, while maintaining a bubbly lightness. The botanicals are strong flavor agents, as they often are in whole-juice ciders, as well. Which low ABV ciders are you enjoying this January? Let us know!